Exclusive to the Breguet store in Singapore, the Hora Mundi Singapore edition is a variant of Breguet’s impressive travel timepiece that features the name of the island nation on the cities disc. 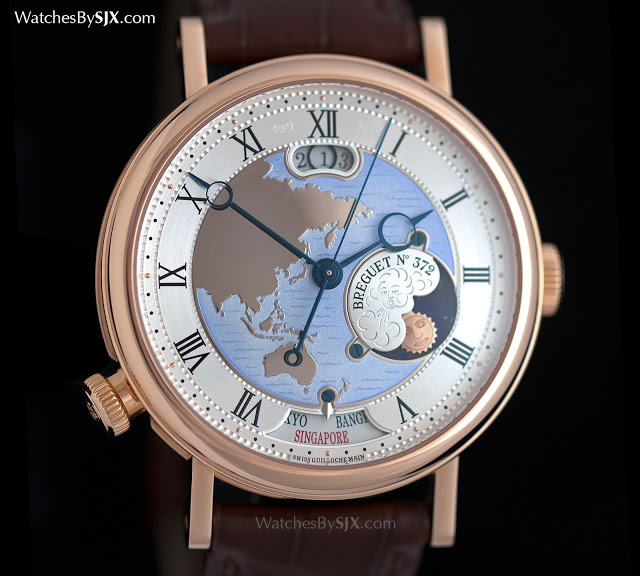 One of the most advanced travel watches on the market, the Breguet Hora Mundi Ref. 5717 features an instant-jump dual time zone display. Press the button at eight o’clock and the time jumps between the two time zones pre-set in the watch. 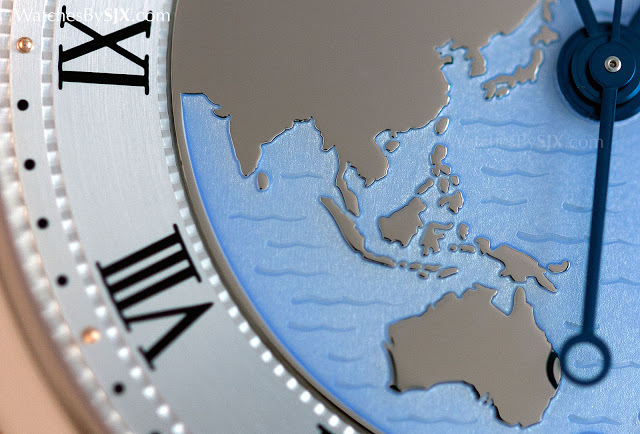 Each time zone is synchronised with a city on the world time disc, with the time zone of GMT+8 is represented by Singapore in the edition made for the city state, which celebrates its 50th anniversary this year. The Hora Mundi becomes the second Singapore edition travel watch launched in recent months, joining the Louis Vuitton Escale World Time SG50. The Hora Mundi is a simple to use travel wristwatch, combining the traditional Breguet aesthetic with a clever, high tech movement. Two time zones are programmed into the movement, each represented by a city on the world time disc. The pusher on the case jumps between the two. The window at four o’clock is a day and night display, with a whimsically engraved moon or sun on a lapis lazuli disc. Setting the two time zones takes a moment, but once done the watch is a breeze to use. Even the date is synchronised with the time, moving backwards and forwards along with the time. But it is no ordinary date, instead the circular date indicator travels along with the date numeral as the moves from the left to the right of the date window during the day. 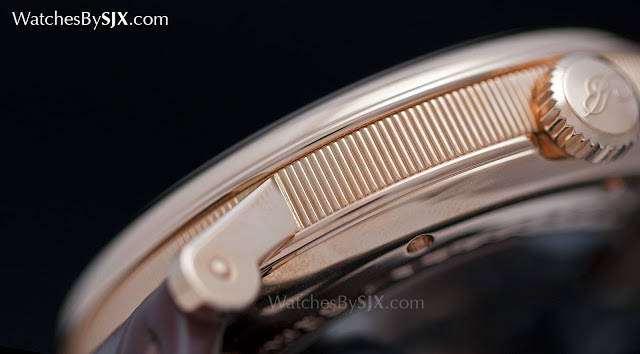 Despite the simple interface, the mechanism is complex, which is the reason the watch is a large 44mm in diameter. 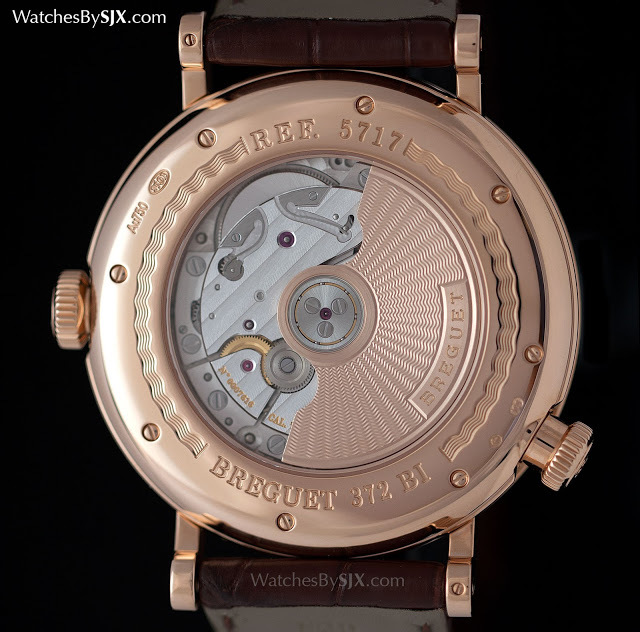 While the Hora Mundi has all the signature Breguet design elements, it is not quite as elegant as the typical Breguet given its size. 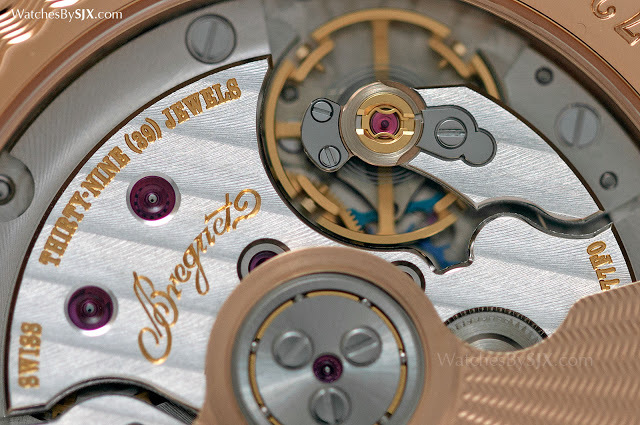 The watch is impressive, both physically and conceptually, but the quintessential Breguet to me is one that’s slimmer and more compact. The movement is self-winding with a 55 hour power reserve. And the hairspring and escape wheel are silicon, a friction-free and non-magnetic material that promises better timekeeping for longer. 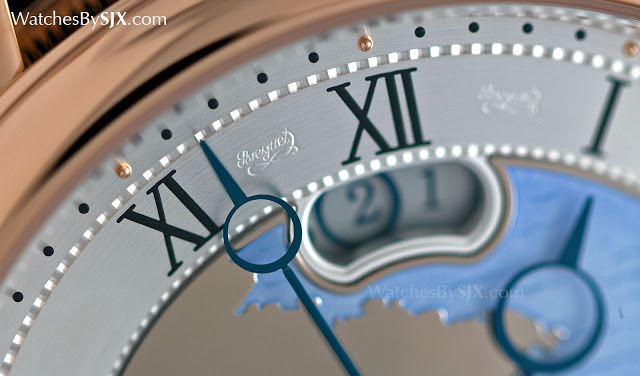 As is typical for Breguet the dial is elaborately made and expensive looking. Made of solid gold and decorated with guilloche done by hand on a rose engine lathe, the dial centre is coated with translucent blue lacquer representing the oceans. 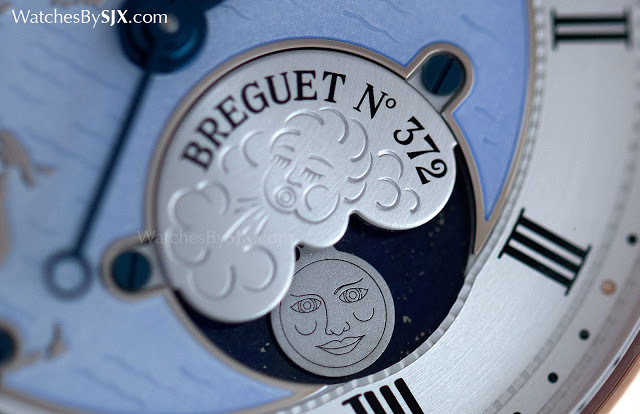 The hands naturally are blued steel, while the tiny double secret signature sits on each side of “XII”. 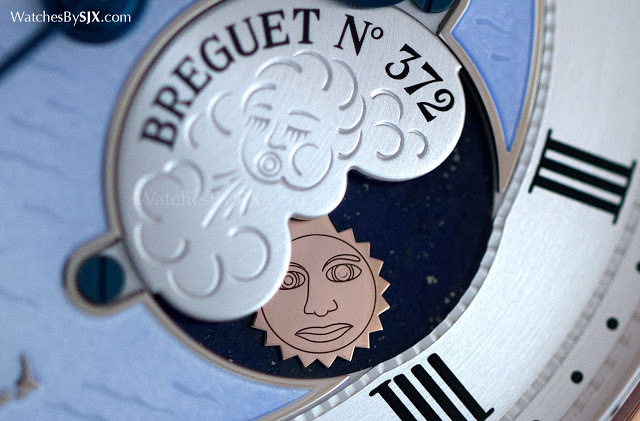 A special edition available only at the Breguet boutique in Singapore, located at the Marina Bay Sands mall, this Hora Mundi is priced at S$113,300 inclusive of taxes. Update July 9, 2105: Corrected to indicate this is a special, rather than limited, edition. Pricing info added.